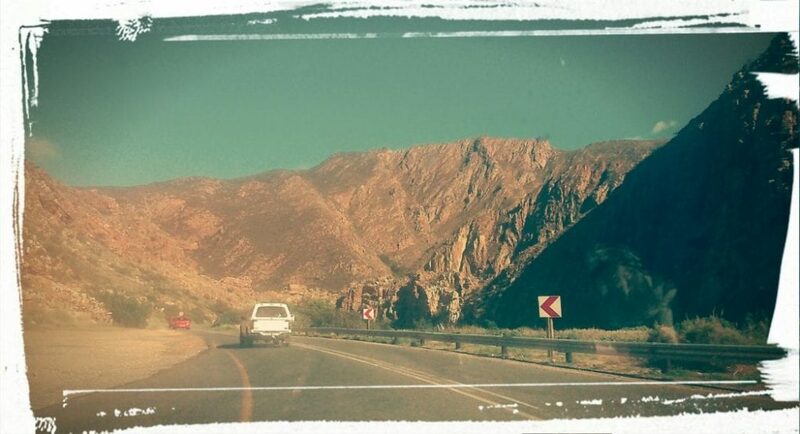 A recent drive back to Cape Town earlier this month made me realise how much I underappreciated the beautifully majestic and decidedly rugged mountains that surround my adopted hometown of Montagu during the 13-year period in which I resided in or near the quaint, little dorpie. 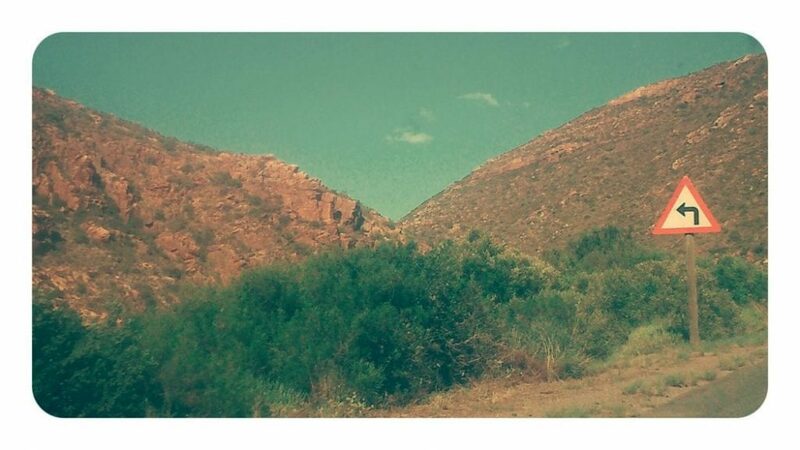 It’s true that now instead I am blessed to wake up every morning to the sight of the one true mountain, fondly referred to as ‘The Table’, but its beauty is different to the, in places formidable, Langeberg mountain range, which encircles Montagu. It’s less foreboding and rough around the edges for one thing and far more clean-cut and smooth than the mountain peaks I grew up around for another. Perhaps the most impressive way to experience what I will attempt to describe is to just visit the place yourself and if you do, you need to make sure you enter (or exit) at least once via the protective road shoulders and rocky armed embrace of the Cogman’s Kloof moutain pass to best discover its roughly 6.5 km-long mountainous wonder. 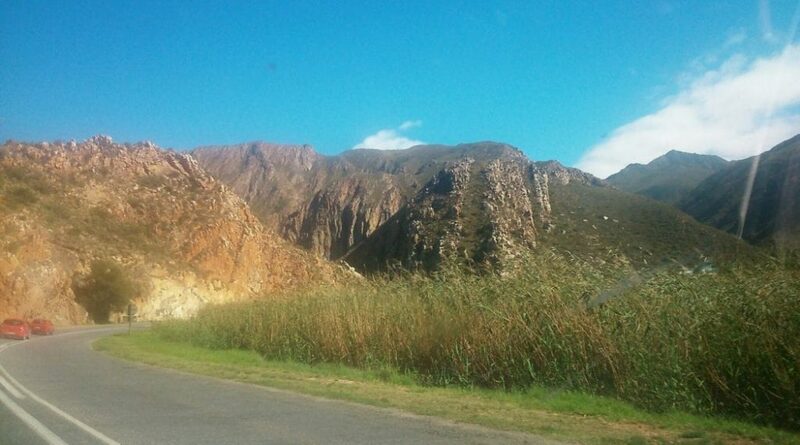 If you approach from Ashton (the closest town to Montagu and indeed after Montagu, to the pass, which connects the two towns) or from the relatively nearby towns of Swellendam and Bonnievale, you will encounter a beautiful patchwork quilt landscape of neat vineyards either side of the road before you cross over into the Cogman’s Kloof (or Kogmans/Cogmanskloof, depending on how you choose to spell it out) southern entry point. Which in turn make for a worthy sight, even if, admittedly, the more industrialised Ashton is one of the less aesthetically pleasing small towns in the area. 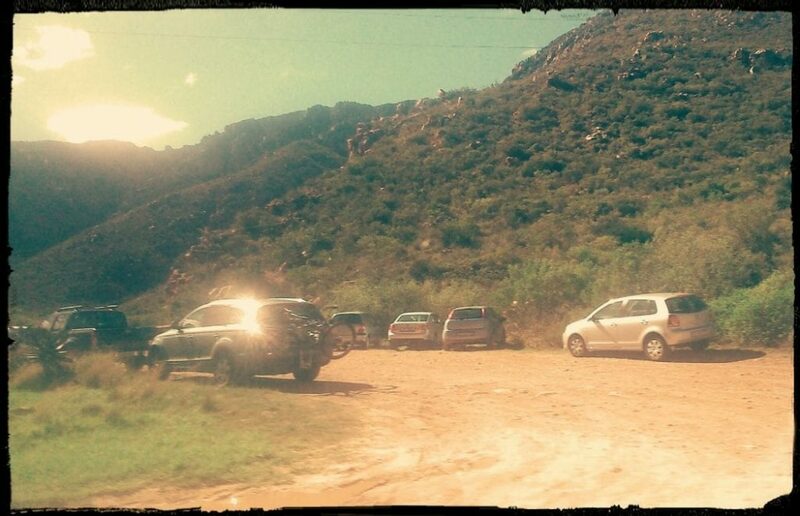 From this side, there is at least one picnic/viewing spot before you reach what is known as ‘Legoland’ and cross the first bridge over the reed-choked Kingna River (which feeds into the Breede and runs through Montagu). 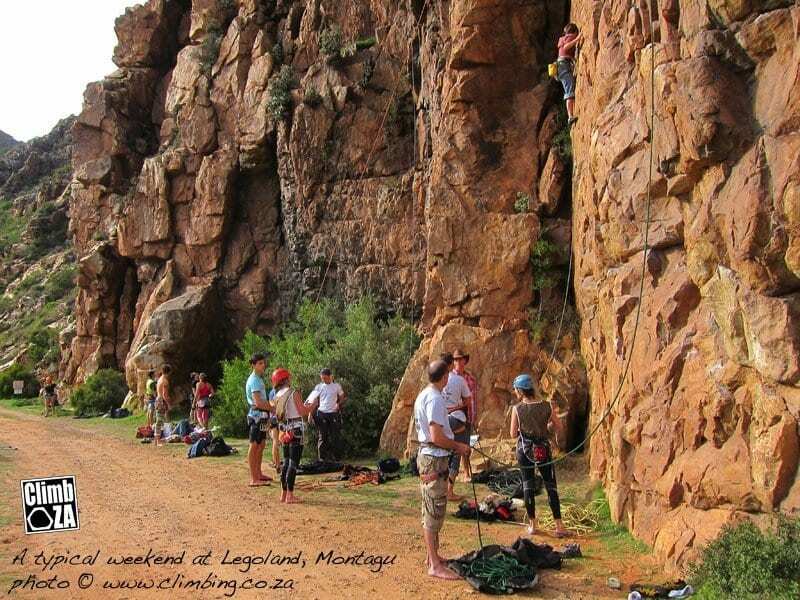 As a point of interest, Legoland is a climber’s paradise due to its variety of grades (which run from 12-24), routes (25 in total) and quick access and is described by Climb Za as “Montagu’s most popular climbing area”, as it offers both seasoned climbers and young start-ups the chance to enjoy a more up-close and personal experience with Cogman’s. (Please note: It is child- and dog-friendly, though dogs may not go past Legoland and visitors are requested to clean up after themselves in order to protect this beautiful area’s environment. This image is a great example of the view one has of Legoland from the road. 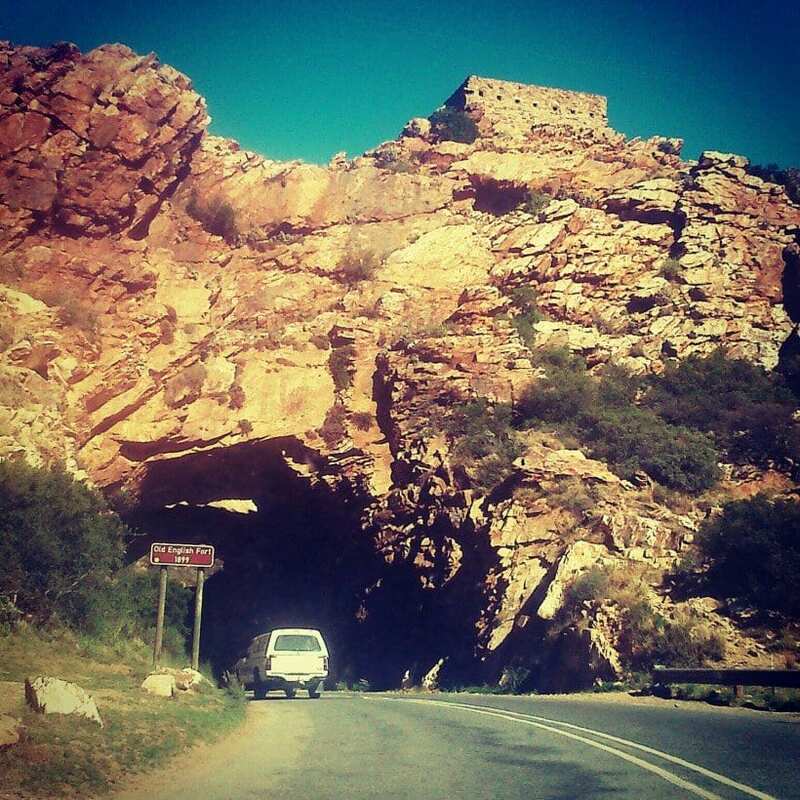 It’s important to add that once you round the corner and curl away from Legoland, you are well and truly in the heart of the Cogman’s Kloof Pass and it is then that the really breathtaking, towering lime-mottled, orangey cliffs and rugged rock faces both surround and confront you. 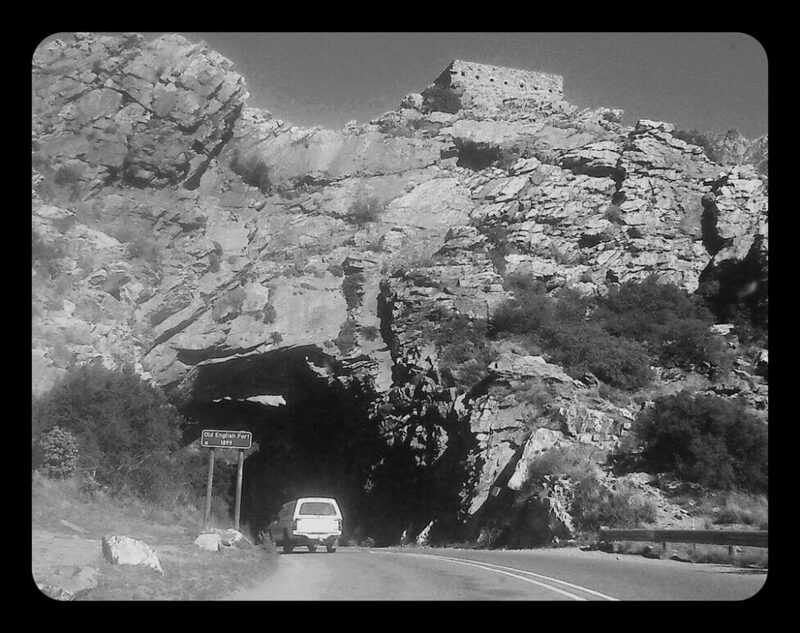 Originally, before the road and pass were successfully completed, the poort (a path or track through a mountain range) was a precarious one which ran alongside the riverbed, incorporating 8 hazardous drifts in the process. Thus it was that, when it came to rounding the Kalkoenkranz (the short, pure rock tunnel that you can see today is where this hard rock was blasted ‘open’ using some dynamite – just out of its infancy at that time – but mainly gunpowder thanks to the carefully planned efforts of the ingenuous Thomas Bain, son of Andrew Geddes Bain, in the late 1800s), the wagons were forced to actually travel through the riverbed itself. Even today, the river hugs the road in places as you drive around its curvy, low-lying bends and this has often caused great consternation among and, on a few tragic occasions, heartache for Montagu and Ashton’s residents. 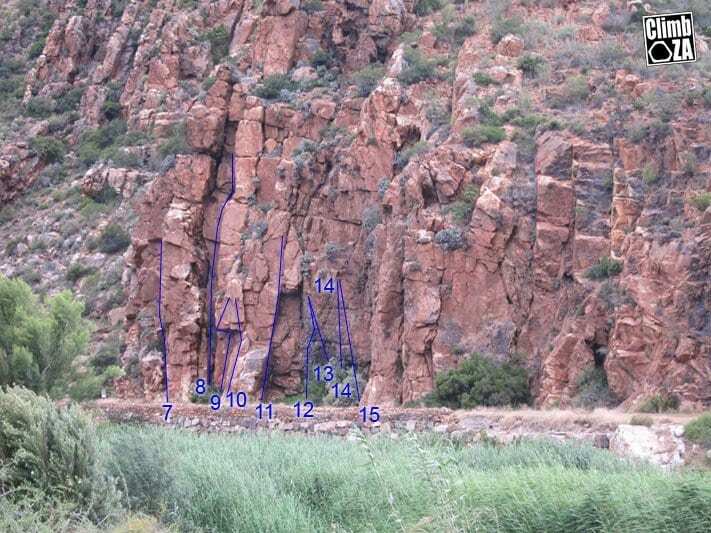 Because Montagu is encircled by the impressive and daunting Langeberge and thus lies in a bowl, there is often no place other than this pass to channel the excess water out through when the Kingna swells after heavy rainfall. Although winter is almost always a time for concern – unless there is a drought – some of the worst flooding has happened out of season, during the early- to late summer months. When the Kingna does indeed break its banks, it inevitably results in the whole precinct being flooded by frothy chocolate waters. This in turn has resulted in total closure of the pass for several days at a time, both in recent and former years alike. Although the two worst floods were in 1981 and 2003, the area has seen much minor flooding over the years and as such, the bridges have been damaged (or virtually destroyed) time and again. 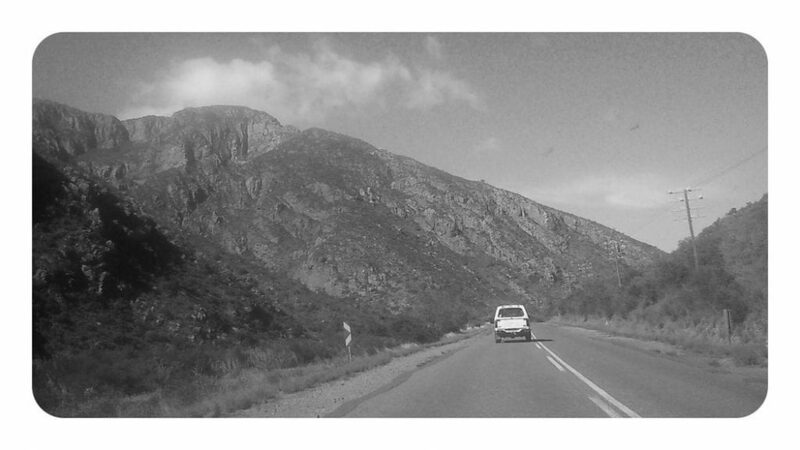 As with anything in life, natural beauty has its own price and sadly in August of 2012, a female ambulance worker drowned in the Cogman’s Kloof Pass when the raging waters overwhelmed and washed her ambulance vehicle almost 2 km away. Shortly before you briefly pass through the tunnel (it’s almost impossible to get a photo of it without a car passing through the opening), you cross over the river for a second time. 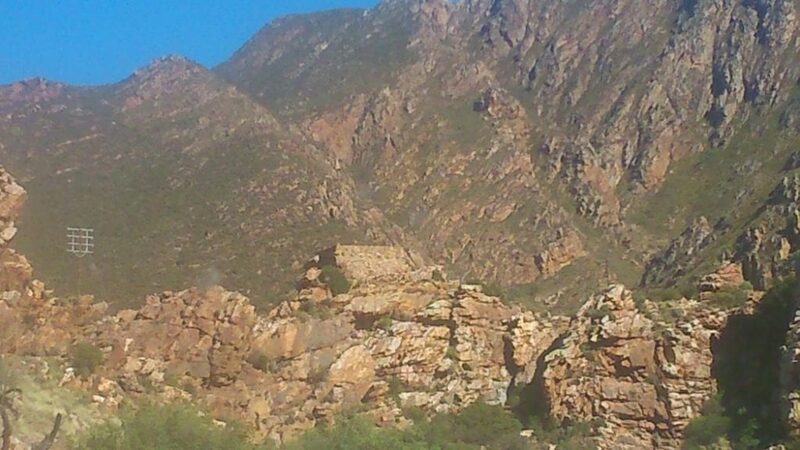 Although it is more noticeable from Montagu’s side, you can see the old English fort – built in 1899, it is now a National Monument – which watchfully presides over the tunnel. Many tourist buses and travellers park at the nearby picnic spot and climb up to the cute, little stone fort. And there, on either side of the tunnel, set back slightly from the road is a most beautiful gorge – possibly the finest of the lot. It’s something you have to experience and see firsthand – only then can its wild beauty and towering formations take you wholly captive and leave you with a desire to set eyes on it again someday – even if it is only for seven to ten fleeting minutes at a time. 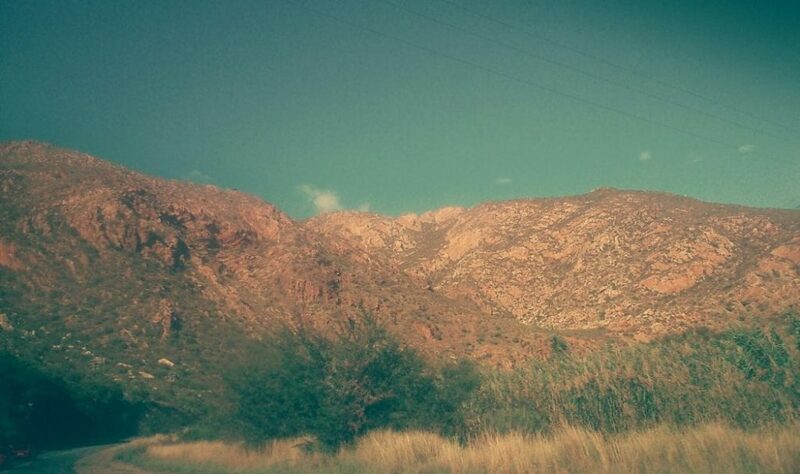 The first time I passed through that timeless place I was a six-year-old child, sick of being stuck in a car and about to enter a small farm town, which I was to call home for the next 13 years… and yet, it still managed to leave a lasting impression on me, even in spite of the relative darkness. It was a late summer night, unusually dark for that time of year in the Cape, but to this day, I can still remember how I peered out the car window and saw those strange dark shapes looming high up into the sky above me. It was even more intimidating when I later saw it in the daylight, of course but even at the cover of night, this picturesque ‘legoland’ was and always will be something special to behold. One day, I hope you get a chance to see it for yourself. 2) 1861 – Parliamentary Select Commitee authorised the building of the road using convicts but due to a shortage of said convicts, work on the road couldn’t commence. 3) 1867 – The drowning of 12 people prompted land surveyance and thus, the 5.5 km stretch of road was approved and work on the road finally got underway. 4) 1870 – The road’s construction was found to be too arduous for the workers, who were unused to such hard manual labour, and thus, work was halted once more. 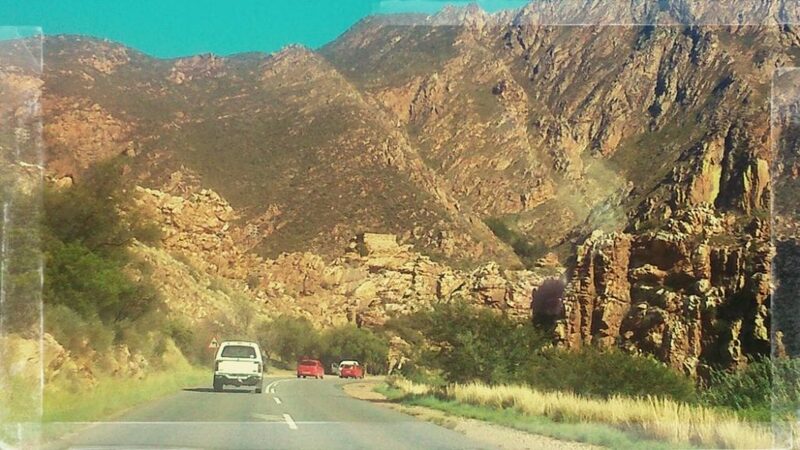 5) 1873 – Thomas Bain surveyed the pass for himself and work re-commenced on the road. 6) 1899 – Construction of the English fort, which is perched atop the tunnel. 7) Even as early as 1919, crossing the Kingna River near the Montagu entrance was an issue with flood damage washing the bridge away. 8) 1931 – Tarring of the road. 9) 1999 – The old English fort is declared a National Monument a hundred years after its construction. Many thanks to http://www.climbing.co.za, http://samoutainpasses.co.za and http://moutainpassessouthafrica.co.za for the additional information (and two of the photos) used in this post.